Imagine you are cleaning or organising around your house. To assist you with the process you separate your items into categories to help you locate them later. Maybe you have a box for books, a drawer for school supplies or a cabinet for electronics. You start to realise however that, you have a bunch of extra bits and pieces that do not fit into any of your other groups. So, you create a special container for them, your other container. This is pretty much what happened with kingdom Protista. They are a group of micro-organisms that did not tick all the boxes to be called bacteria, fungi, or nematodes. Protista, the other micro-organisms (e.g. 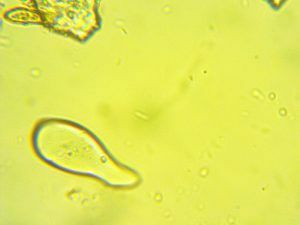 protozoa), play a crucial role in the mineralisation process. They feed mainly on living organic matter e.g. bacteria, with only a few forms feeding on dead organic matter. Bacteria, their main and preferred source of food, have a high N content in their bodies so when protozoa feed on bacteria more than half the nitrogen is excreted as excess nitrogen by protozoa. Since bacteria are mostly found near the root zone (read soil food web series: bacteria, the little nitrogen factory blog), it is to be expected that protozoa are abundant there as well. The excess nitrogen released by protozoa is available nitrogen which is released next to the root zone making it easy for the plant to access it immediately. Because 90% of the body of protozoans are made of water combined with the fact that their ability to move in the soil is also very dependent on soil moisture, this special group of organism do not survive in water stressed soils. They die either by starvation caused by an inability to move to a food source, bursting due to osmotic pressure or a combination of the two. They also cannot survive in high salt conditions, also due to osmotic pressure. Unlike bacteria, their death in the soil is in vain. Their contribution to nitrogen mineralisation is more effective when alive, as the low nitrogen in their bodies means little is released when they die. 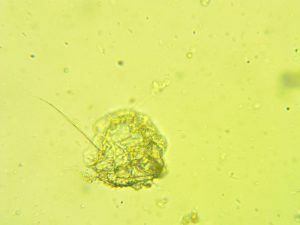 In a teaspoon of soil, you will only find a little over 10 thousand protozoa. This is compared to close to a 100 million bacteria found in the same amount of soil. Though their numbers in the soil are few, the role they play is very significant. Management practices that threaten the survival of these organisms, such as over fertilising (especially with fertilisers containing salt) or inadequate supply of moisture to the soil, can significantly reduce the mineralisation process, even to the extent where immobilisation of nitrogen can occur. Remember, nitrogen is required in large amounts by bacteria, if there is nothing to control their multiplication in the root zone, competition with the plant for nitrogen is bound to occur. So the next time you apply fertiliser, think carefully about whom your intended target is.